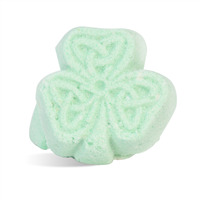 These green shamrock bath fizzies will make you think of Ireland every time you take a bath. The Fresh Mint fragrance smells newly picked and stimulating while the cocoa butter will help to leave your skin feeling moisturized and soft. 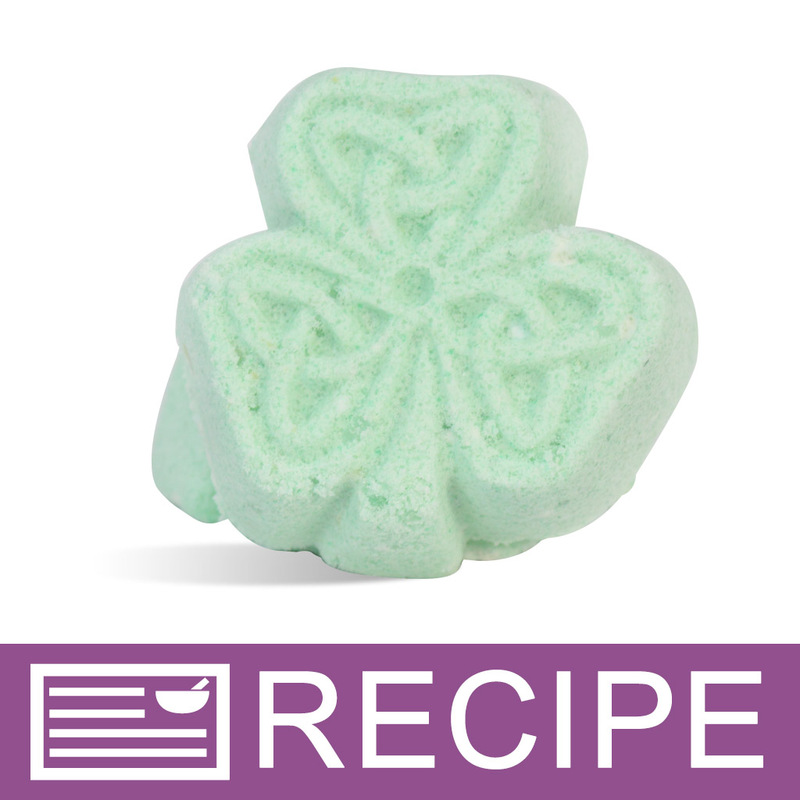 As it fizzes, a surprise color will appear to fill the bath water. To large mixing bowl, add citric acid, baking soda, Epsom salt, kaolin clay and buttermilk powder. Use wire whisk to combine the ingredients. To small bowl, add cocoa butter and microwave until melted. Drizzle liquid over dry ingredients and mix well. To plastic beaker, add fragrance and polysorbate 80 and mix. Drizzle over mixture and mix in well. Add green mica and mix well. Fill each mold cavity halfway with mixture. Pat down well and place (1) 0.15 ml Micro Size scoop of orange powder into middle. Fill with more green mixture. Allow to dry overnight and then remove from mold. To Use: Drop into bath under running water. WARNING: Product may leave the tub slippery. Be sure to include a warning label on the product for this reason. 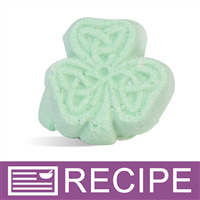 Ingredient Label: Baking Soda, Citric Acid, Epsom Salts, Polysorbate 80, Kaolin Clay, Cocoa Butter, Buttermilk Powder, Fragrance, Titanium Dioxide, Mica, Chromium Oxide Green, Yellow 6 Lake.